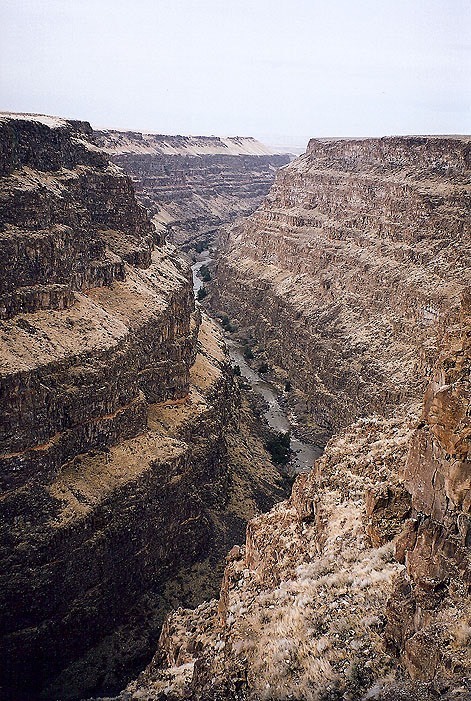 This photograph is one in a series of photos taken by Peter Thody on a quickfire road trip through southern Idaho in February 2006. Photos include Shoshone Falls with rainbow, Perrine Bridge over Snake River, Craters of the Moon, Bruneau Canyon Overlook, Union Pacific loco, Tree Top Ranches, Sawtooth Mountains, Steep Grade road sign, USAF Bombing Range, Idaho State Penitentiary (Boise), Twin Falls. Prints are available for purchase. Please contact Peter Thody.